Let’s talk about “red”! Especially since we spotted some serious fire engine red at the Academy Awards on Sunday. Red screams ‘look at me.’ And a few celebrities had every reason to call attention. (Photos to follow.) As a Dunitz & Company fair trade designer and vendor, I’ve also noticed that even if I see fashion spreads in Elle and Marie Claire with the likes of Kendall Jenner and Gigi Hadid, we tend to sell red to a more mature audience. Yes. Yes. There are lots of exceptions. However, historically we find our “missy” crowd digs red. In tow at the Oscars, it was no surprise which actresses took on this hot color trend. 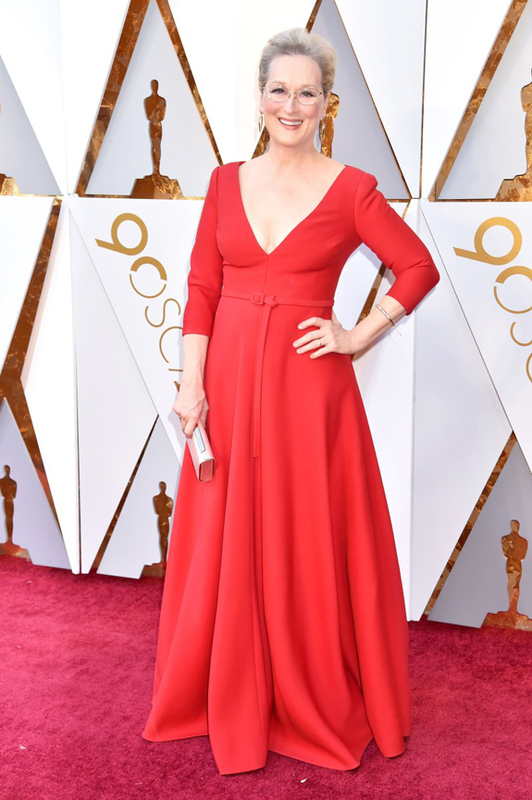 Another reigning Hollywood royal, Meryl Streep donned red this season. And I thought it was one of her best ever and most flattering award show looks. Her Christian Dior Haute Couture looked like it was made for her. Hard to believe she is 68 in this get up! More maturity. 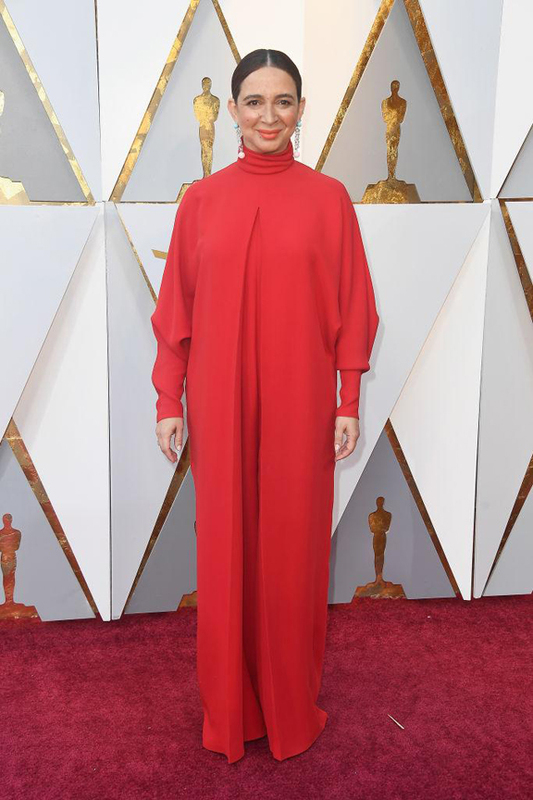 Maya Rudolph looked ‘old lady’ in her Valentino, 'don’t show any skin number.' I’m not sure why she chose this gown which seemed to age her quite a bit. Perhaps with the #metoo movement, she chose to erase any hint of her sexuality. One thing is for sure. She did not go unnoticed. And talk about sexuality. Blanca Blanco strutted her stuff in a slinky and revealingly gown designed by Atria Couture. One twitter follower thought her dress was a "wardrobe malfunction waiting to happen." (Remember? She also wore red at the “all black” Golden Globes earlier this season.) This girl likes to get her red on! And well, she's 37. But here’s the thing. You don’t need to be at an awards ceremony to wear red. Red can be for any occasion, fancy, casual or otherwise. Heck, one of my favorite “ look at me” pieces of clothing are my straight leg red corduroys. Now we’re talking. Got Red? You know I have to make a plug for Dunitz & Company fair trade jewelry. 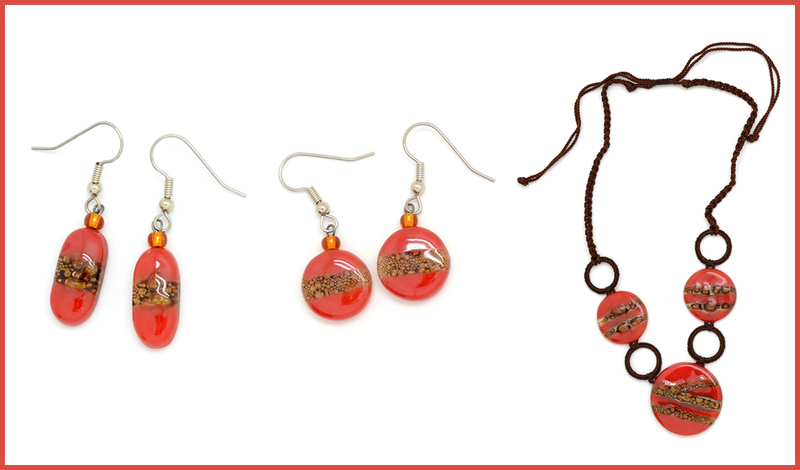 This season we’ve offered several red hot designs in our Joanie M fair trade fused glass collection. Don’t want to wear red pants! You’ll make a statement without being overbearing in a pair of red earrings or bib necklace.